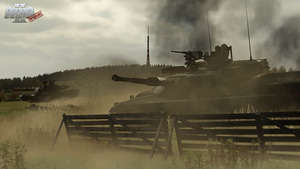 Arma 2: Free (A2F) redefines the free-to-play battlefield with its truly unrivalled scale and gameplay possibilities. A2F serves up almost everything offered by the original Arma 2 - the '13th best PC game of all time', according to PC Gamer - minus the campaign, HD graphics and support for user-made addons and mods. Create your own custom-built scenarios or deploy a massive selection of missions and game-modes made by others. No micro-transactions, no hidden costs, just the same epic terrain and huge variety of equipment! Version A2F is a freeware program which does not have restrictions and it's free so it doesn't cost anything. For security reasons, you should also check out the ArmA 2 Free download at LO4D.com which includes virus and malware tests. Additional screenshots of this application download may be available, too. ArmA 2 Free has a presence on social networks.